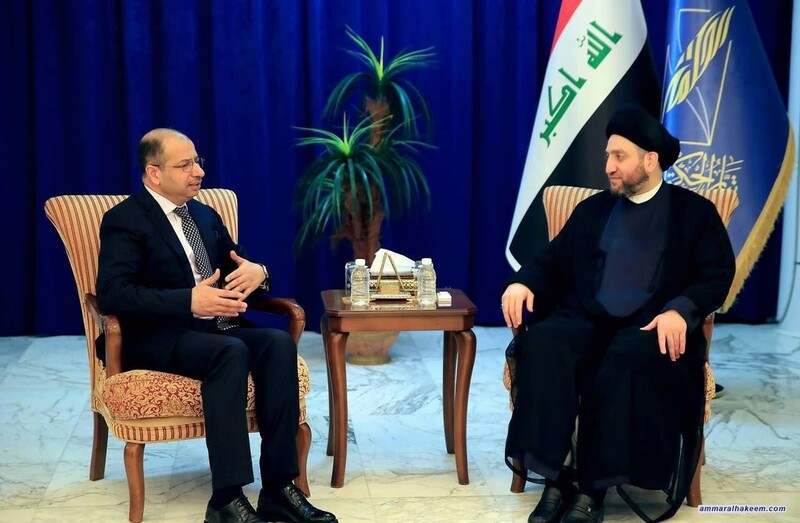 His eminence with Jubouri discussed the latest developments in the political situation and forming of the future government. His eminence pointed out that the principle of reform, is a joint participatory responsibility among among all, stressed the importance of supporting the Prime Minister-designate, and warned failure consequences that will impact all if the government is not successful in providing services and achieve the aspirations of the Iraqi people. 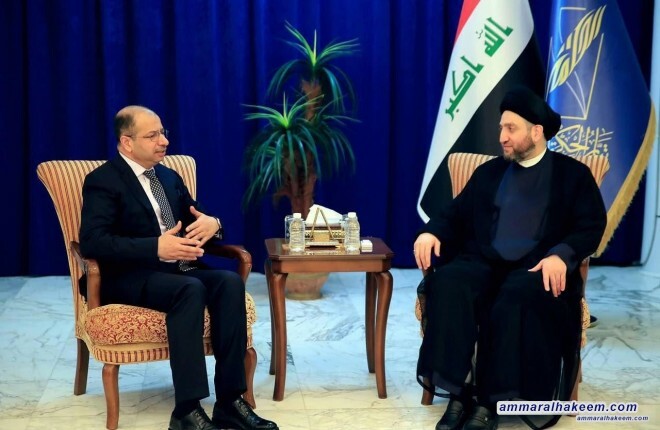 His eminence stressed the importance of excluding Iraq from regional and international political disputes and focusing on services, reiterated his vision towards the Reform Alliance as a result of a reformist vision that consider priorities and opens up to all to serve the Iraqi interest. His eminence valued the role of Jubouri during his tenure in the pasr parliament session that was carried out with high patriotism and keenness to enact importance acts.